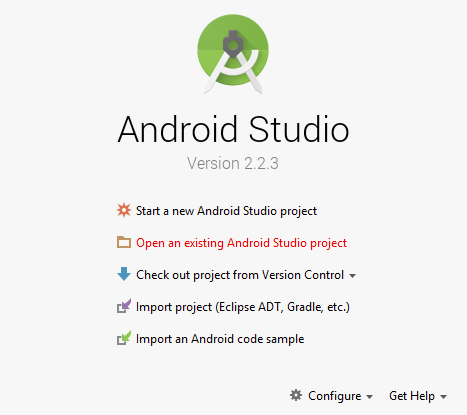 The operations required to use the generated project wth Android Studio are described below. 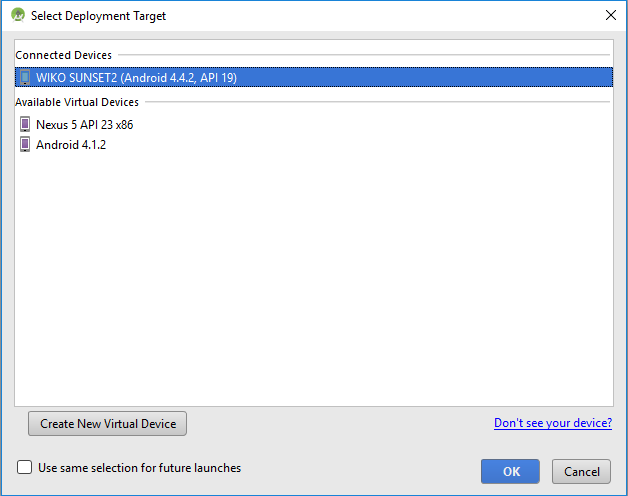 The Android Studio project is automatically generated when building for the ANDROID target with the command-line or the plugin. 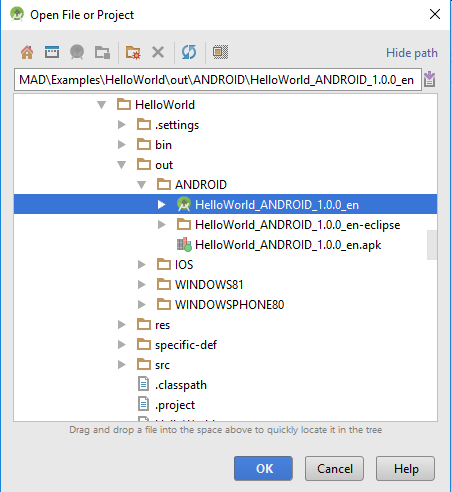 For more details about how to build for Android, see Building with command line and Building with Eclipse plugin. 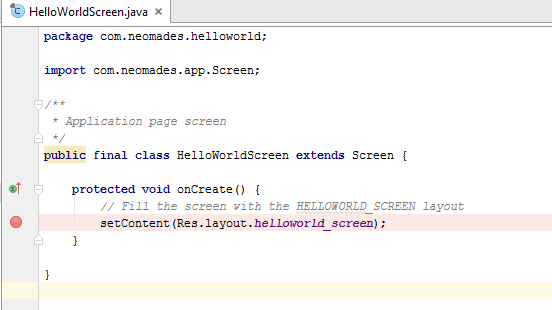 For this tutorial, the HelloWorld project from the NeoMAD samples will be used. 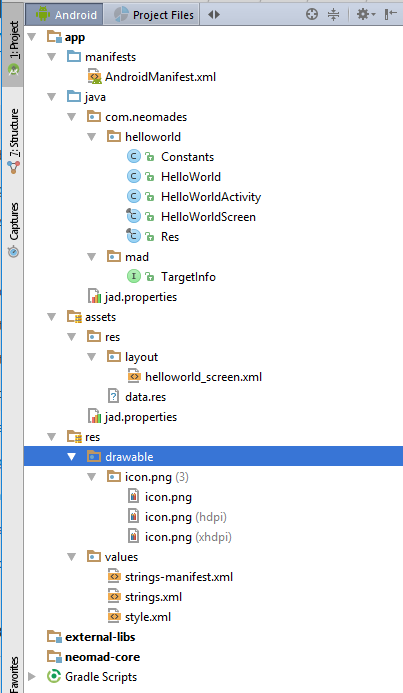 The next step is to launch the application on a device or a simulator. 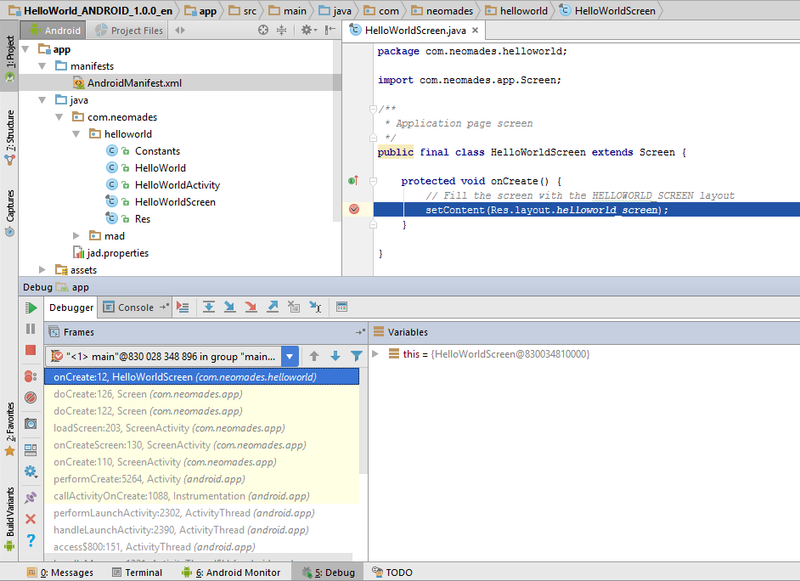 For more details about how to debug, see Android documentation.